Liverpool FC teamed up with Street Soccer USA to deliver community grass roots coaching clinics for over 100 youngsters in America this week, as part of the club's pre-season tour. 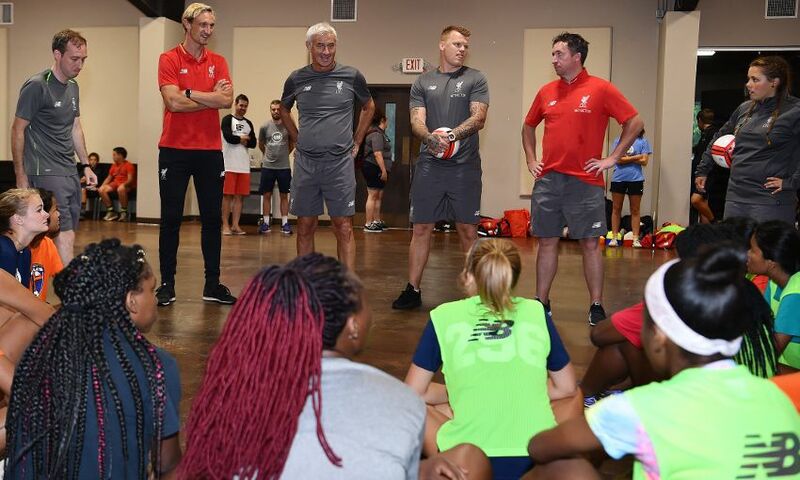 Four Liverpool legends visited the SS USA Hub in Charlotte, North Carolina to take part in the first skills session with 24 young female players. Former Reds Sami Hyypia, Robbie Fowler, John Arne Riise and Ian Rush met with the participants to answer questions and sign autographs, before the girls enjoyed various football activities led by LFC's four female community coaches. A series of five-a-side mini-matches against the ex-Reds concluded the fun-filled afternoon. Later in the evening, 18 male youths – who are all refugees – attended a round-robin football tournament run by LFC and Street Soccer staff, before the club headed to New Jersey for the next leg of its US pre-season trip. Sunset Park in Brooklyn was host to the third Street Soccer clinic, which saw 60 local kids - aged 7-14 years - engage with LFC coaches to take part in skills and drills sessions, shooting practice and competitive games. 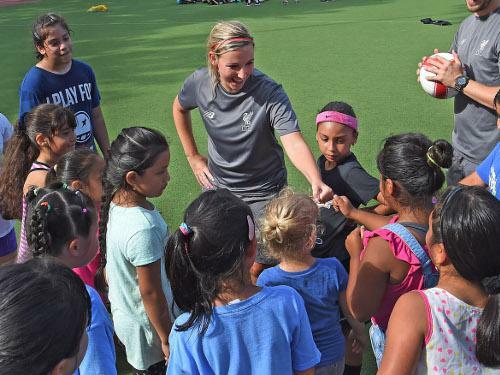 Vicky Jepson, LFC community coach, said: “It’s been fantastic to team up with Street Soccer to engage with so many local kids out here in the US. “The clinics have been a great success and all the children really enjoyed themselves, as well as taking away some new skills. Street Soccer USA works in 14 cities across America with refugee children, those living below the poverty line or youngsters whose first language is not English, providing free football coaching and educational support.